Disney’s ‘The Lion King 3D’ movie hits U.S. theaters soon. Fans of the animated classic are buzzing on Twitter about the upcoming release, discussing whether they’ll see it. This is totally understandable – Not everyone agrees that great movies need the 3D treatment. Celebrities, however, turned out in droves to The Lion King 3D’s recent premiere at the El Capitan Theatre in Hollywood. Some (including former teen star Melissa Joan Hart) couldn’t resist the opportunity to let their kids discover the wonder that is Disney in all its glory. Disney fans – Will you be seeing The Lion King in 3D when it’s released on September 16th? You can check out the official movie trailer below. Hakuna Matata! 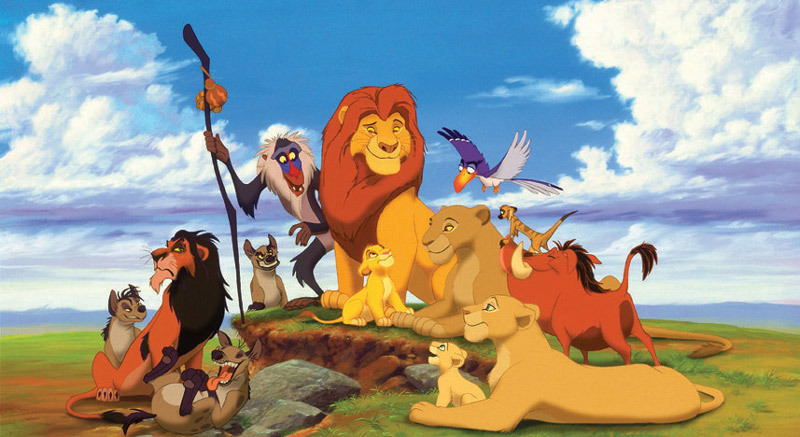 The people behind Disney’s ‘The Lion King’ didn’t know they were creating a masterpiece back in the early 1990′s. Neither did they expect it to become one of the most beloved animated movies of all time. Even now, 17 years later, producer Don Hahn remembers his astonishment over what happened. With ‘The Lion King’ set to return to the big screen September 16 — in 3D, no less — and with its much-anticipated Blu-ray release happening at the start of October, it will be reuniting with old fans and also seeking new audiences. Hahn is excited over these prospects for a legendary film cited by Disney as the highest-grossing animated film of all time, but he still remembers what a huge gamble it seemed to be back in 1994. “Having a rock star [Elton John] do the music was unconventional. So was doing a movie set in Africa with no human characters. But then, I think we started to see three or four months before the movie was released that it was a good movie, and we started to share that with the press, and they started to tell us that it was a great movie. But Hahn is quick to emphasize that The Lion King was, and is, a triumph of hand-drawn animation, an art form that some in the industry see as obsolete, thanks to the computer revolution. Furthermore, Hahn wants to correct any perception that the adventures of Simba and his friends have in some way been converted into computer-generated imagery. The bottom line with the Blu-ray editions and the film’s big-screen rebirth in 3D is that the integrity of the original has been protected at all times. One of our readers, Susan, took her daughter, Savanna, to see ‘The Lion King 3D’ at the El Capitan Theatre in Holywood a couple of weeks ago where they spoted Adam Sandler and his family! Of course, we know why Adam had that great tan – he spent most of the summer in Cape Cod shooting I Hate You, Dad! Thanks again to Susan for sharing this pic of Savanna and Adam and don’t forget to stay alert when you’re visiting Hollywood, you never know who you’ll see! This entry was posted on Wednesday, September 7th, 2011 at 6:44 am	and is filed under Celebrities. You can follow any responses to this entry through the RSS 2.0 feed. Both comments and pings are currently closed.